Subject: For attention of Mr. Woody Johnson. We understand the European Council will convene later today to decide if the EU is prepared to grant an extension of time for Brexit beyond this Friday, 12th, the so-called No-Deal WTO option. It is by no means clear that all 27 Eurozone states will agree to it, or, if they do, what conditions will be imposed by Brussels. My purpose in writing is to respectfully request you to issue a further press statement tomorrow to remind everyone here that our Prime Minister’s Withdrawal Agreement prevents the US from entering into a trade agreement with the U.K. That not only will this be a very valuable opportunity lost, but that our existing trade surplus with the US will suffer damage as the U.K. becomes embroiled in US/EU tariff disputes. Aside from existing 10% tariffs on steel and aluminium, a £9 bn tariff on Airbus is mooted, and tariffs on British products such as salmon and cheese. President Trump is also considering a 25% tariff on EU automotive industry exports, which will arguably backwash onto motor factories operating here. All told, the damage to the British economy without a clean break from the EU is significant. A bald statement setting out potential costs to the U.K. economy might give even the more ardent europhiles in our Parliament pause for thought in their ideological pursuit of adherence to the EU. The British people voted to Leave the EU unconditionally in 2016. They expect a clean break WTO departure on Friday 12th April. They do not want to see our relationship with our greatest ally, America, trashed by rogue parliamentarians, who have voted contrary to the pledges they made to their constituents in the 2017 General Election. It is ironic beyond belief that after failing to heed Benjamin Franklin’s cry of “No taxation without representation “ our Parliament should be repeating the same mistake in its dealings with the EU. But our Parliament does NOT represent the People, and we wish to see the special relationship with your great country preserved, not discarded like old clothes. Chairman of Democracy17.4 membership association. Democracy 17.4 supports English Democrats lawsuit against the PM to obtain a declaration in Law that the Law states the UK left the EU on 30th March 2019, and in blocking any extension to Article 50. The source of this information is John Petley’s report with contributions from Dr Niall McCrae, John Ashworth, Ariane Loening and Lawyers for Britain, BREXIT BOMBSHELL: A German Brexit? A Scandal of Subversive Statecraft. Thank you to Dave Chapman for helping me research the above issue wherein I discerned, a photo similar to the above, in these national leaders’ eyeballing one another that something is kept unsaid and private concerning their agreements. The story is covered in-depth by Germany’s international broadcaster Deutsche Welle at Did Angela Merkel Approve Theresa May’s Brexit Plan In Advance? Angela Merkel has thrown Theresa May a lifeline after telling German MPs any Brexit extension should be “as short as possible” ahead of this evening’s crunch Brussels summit. ‘The German Chancellor has revived hopes that the Prime Minister could secure a shorter Brexit delay, but added that it should be “long enough to create calm, so we don’t have to meet every two weeks”. ‘Mrs May has requested that Article 50 be extended until June 30. ‘However, there is a growing expectation in Westminster that EU leaders will back Donald Tusk’s ‘flextension’ plan for a year-long delay, with the option for the UK to leave earlier if Parliament ratifies the Brexit deal in good time. ‘Meanwhile, Emmanuel Macron, the French President, has put forward an alternative plan which would see the UK relegated to an “intermediate member state” – shut out of major decisions and required to undergo a membership review every three months. Once again, the pieces of an invisible jigsaw start falling into place. The ‘God-incidents’ behind the timing this post and incoming related material is noteworthy in creating the next posts because renovations priorities had delayed my dealing with this news from last week. The two leaders’ official visit to last week’s renowned St Patrick’s Day celebrations in the USA afforded them a time to escape the political atmosphere of Europe and the British Isles. It is possible they may, therefore, felt freer and able to perceive issues from another perspective without the immediate pressures of the Brexit and EU politics. I’m sure ‘the Donald’ conveyed his personal opinions and insights on the situation with Taoiseach Varadkar, who may have thus been sufficiently open-minded to consider new, different approaches to developing the future relationship between Eire and Britain, as promised in that prophetic word. I trust Varadkar had the opportunity to, and begin to, appreciate the whole issue from a Christian perspective, particularly after dining with evangelical Vice-President Mike Pence. ‘Speaking in Dublin, Mr Varadkar said when he arrives for the EU summit in Brussels tomorrow, he will be arguing that prime minister Theresa May be given some space to seek to get approval for her deal. “There is a real risk that we wish to avoid — of no-deal happening by accident despite people’s best intentions,” he said. ‘He added that the Irish Government was willing to support both of the British requests, but he reiterated that it was “not entertaining any change to the Withdrawal Agreement or the backstop”. ‘Arlene Foster met US President Donald Trump at a St Patrick’s Day celebrations lunch in Washington on Thursday hosted by the House of Representatives Speaker Nancy Pelosi. Taoiseach Leo Varadkar, US vice president Mike Pence and other high-profile political figures were also in attendance. ‘Mr Trump has said he will be visiting the Republic of Ireland at some point this year. Next, we look at some historical items that happened to turn up this morning – oh what a coincidence! The Westminster Parliament appears to be tearing itself apart. The current turmoil resembles the time before party whips came to play the role they do today. In the old days, parties were not stable: a leader could not depend on the votes of other MPs and Lords as a matter of course. Much of the time, a member of the legislature had to be persuaded or cajoled into voting in favour of a proposal. My readers may find this a useful concise refresher of the main points following Hanson’s in-depth briefing, as summarised by NEO in A Failed Coup. Thank you Nicholas. I am on the record as believing that President Trump is a Cyrus-like figure. He had the courage to move the American embassy to Jerusalem, recognising the city as the capital of Israel. Actions of such significance on behalf of God’s people and God’s covenants seldom go unchallenged by the powers of darkness. Today Richard’s Watch shared a prophetic word from Veronika West about the spiritual assault on the President. I advise any reader to always weigh a prophetic word, regardless of the source. Nevertheless, the basic premise of Veronika’s post should be uncontroversial – there is a spiritual war against the current President. “WATCH FOR THE DEN HAS BEEN PREPARED AND THE BLOOD-THIRSTY LIONS LIE IN WAIT””…! “WATCH AND PAY ATTENTION, PRAY PRAY PRAY FOR THE NATION OF AMERICA AND FOR PRESIDENT DONALD TRUMP FOR IT SHALL BE LIKE IN THE DAYS OF DANIEL WHEN MY FAITHFUL SERVANT WAS THROWN INTO THE LIONS’ DEN, WATCH! FOR THEY SHALL COME TOGETHER AND THEY SHALL CONSPIRE WITH ONE ANOTHER TO DESTROY THAT WHICH I HAVE DECREED AND THAT WHICH I HAVE DECLARED OVER THE LAND AND THEY SHALL LOOK TO CATCH HIM OUT AND THEY LOOK TO GRAB HOLD OF HIM TO UTTERLY DESTROY HIM, FOR SURELY I TELL YOU THE DEN HAS BEEN MADE READY AND THE HUNGRY LIONS NOW LIE IN WAIT”, says the Spirit of God. “WATCH AND PRAY CALL A FAST FOR THEY SHALL COME TOGETHER AS ONE FROM THE LEFT AND FROM THE RIGHT, YES! THERE WILL BE THOSE WHO SHALL COME FROM THE RIGHT THAT SHALL SAY, “HOW CAN THIS BE”, BUT I TELL YOU MANY HEARTS WILL BE TURNED COLD BY A STRONG SPIRIT OF LIES AND DECEPTION, YES! EVEN A SPIRIT OF MURDER DWELLS IN THE MIDST OF THEM, FOR THEY HAVE HATCHED A PLAN AND THEY HAVE PUT TOGETHER A PLOT TO OVERTURN AND OVERTHROW THAT WHICH HAS BEEN ESTABLISHED. BUT LISTEN, STAY VIGILANT IN THIS HOUR, WATCH AND PRAY, FOR SURELY I TELL YOU AGAIN, JUST AS THE DAY THEY THREW DANIEL INTO THE LIONS’ DEN SO THEY SHALL THEY COME TOGETHER IN GREAT UNITY AND AUTHORITY IN THIS DAY TO THROW A PRAYING PRESIDENT INTO THE DEN OF HUNGRY LIONS. TELL MY PEOPLE IF THEY WILL LOOK TO ME AND CRY OUT TO ME IN THIS HOUR I SHALL SEND MY ANGELS OF PROTECTION INTO THE MIDST OF THEM, YES! INTO THE STORM OF RISING LIES AND FALSE ACCUSATIONS AND INTO THE MIDST OF THE ROARING LIONS AND THEIR BLOOD-THIRSTY MOUTHS SHALL BE SHUT CLOSED AND THAT WHICH WAS CONCEIVED IN THE WOMB OF DARKNESS SHALL NOT COME TO FULL TERM BUT SHALL SURELY BE FULLY ABORTED AND BROUGHT TO NOTHING”, says the Spirit of God. “NOW WATCH, FOR I STAND OVER MY WORD TO PERFORM IT IN THIS HOUR AND IN THIS DAY, FOR THE NATION OF AMERICA SHALL SEE MY GLORY AND THEY SHALL SEE MY HAND MOVE IN MIGHTY AND YET MORE MYSTERIOUS WAYS IN THE DAYS AHEAD, FOR I HAVE SET MY SEAL UPON MY SERVANT AND A MANTLE OF KINGSHIP AND HE SHALL BECOME MY TRUMPET FOR RIGHTEOUSNESS AND JUSTICE IN THE LAND AND NO MAN SHALL TOUCH MY ANOINTED AND LIVE”, says the Spirit of God. 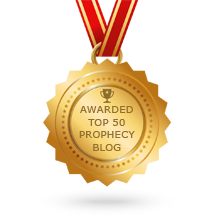 Fulfilled Prophecy #25 cont’d – A Failed Coup! Here’s welcome news of an ‘Autopsy of a Dead Coup’ – that is, the outcome of a worse than Watergate scandal surfacing. Perhaps we’ll soon see the Lord cut puppet-master Soros’ strings, as foretold by Veronika West last September. The original item, Autopsy of a Dead Coup, is well-worth reading in its entirety! I’m grateful to Geoff Pick for informing me at the weekend that the seer Jean Darnall is now in God’s Glory realm, and for including the following words published some time ago. It is noteworthy that references to persecution, within and outside the Church, have since proven true. Yet even so, I invite you to weigh them with the Lord. Recently I have sensed that Christian will be called to the market place as witnesses where people work. They will be sent into ordinary professions and enabled by the Holy Spirit to do extraordinary things that will cause unbelievers to recognize God’ power and word in our world today. There will be Christian leaders with unusual creativity and originality, based on biblical truth and dependant upon spiritual gifts. They will effect the culture; ‘the why’ and ‘the how’ people will do business, govern, educate and entertain will be changed. The world’s image of the church in the twenty-first century will not be of people hidden in the pews inside of traditional church edifices. They will become recognized as the church in the workplace, visible witnesses; individuals whose public worship (service) will cause change. In January 2000 I had a strong witness during prayer of how the persecution of Christians will intensify all through the twenty-first century. The scope of persecution will be increased to the world-wide church. Perilous and challenging times are coming upon Christians in England and USA. There will be enemies within and without the church. Islam and a secular society will target Christianity as “the enemy” and attack with a vicious hatred. Persecution will purify many believers to live for God and cause them to seek the Spirit’s power. It will also force them, because of the attacks upon their institutions, to move their witness to their workplaces, and thus spread their message and ministry. Tumultuous, troubled times will shock and stir up believers. Some will fall away in fear, but others will stand taller than they have ever done before. Boldness will increase as the persecution increases all through the century. 22 biblically-related news headlines in one week! Within days of New Year’s Day seven years ago I introduced this blog’s first readers to the Watcher in The White House, accredited Christian journalist William Koenig, in Points to Ponder: 2011-12 and Biblical Historical/Financial Cycles. It was the first of occasional sorties into the nature of Time and the Bible, now collated in this hub – Time: a Primer. “The following are news articles that are prophetically significant. Below the news is insight and information regarding Secretary Pompeo’s trip and more news. Subsequently, Debka reports Sunni Arab leaders are very uneasy about America pulling out of their region in the face of Iranian aggression, but they have to learn to look after themselves – in my opinion they will draw more closely alongside Israel, an alignment that started months ago. Also, it’s a necessary part of shaking off the shackles of the Obama pro-Iranian legacy. Mike Pompeo destroys ideological legacy of Obama’s Middle East. Our attention has just been brought to this up to the moment prophetic word from Rick Joyner, Fort Mill, SC. USA. It certainly ‘resonates’ with us here at CTNTP and reflects many of the things that The Lord has previously brought to our attention of things to come. As usual, with any ‘word’, please weigh it with Scripture and listen to what The Holy Spirit might say to you personally about it. 2018 was a remarkable and wonderful year. 2019 will be even more so. Every year from now on will be more so, but key elements of a great spiritual critical mass will begin to come together in the coming year. This will begin a spiritual atomic-like explosion in 2020. What are the elements that are coming together for this to happen? BRITAIN & EIRE v. The E.U. Laying the axe to the EU’s roots in Britain and Eire. ‘The issue of a hard border has been used by Brussels in the EU negotiations, with the much-hated backstop one of the end products of that. The attempt by the EU side to lock the UK into their orbit is why Theresa May’s deal currently has no chance of getting through Parliament. ‘But the simple fact is that the British government aren’t going to put up a hard border, nor are the Irish government. Are the EU going to send over their soon-to-be army? Is Brexit an ‘Act of God’? Yes but it challenges Churches! Is the Lord about to cut roots over the Channel and cut strings over the ‘Pond’? (includes Veronika West’s prophetic dream ‘Puppet Strings Over America’). Only now, as I insert these last screen-grab images, do I spot the common denominator to both parts of this blog – IRELAND! Whatever is the Lord saying? And that all-enveloping tree symbolic of the EU is the significant feature in the vision of Great Britain and the EU received by Wendy Alec thirteen years ago. ‘A POWERFUL PROPHETIC SIGN CONCERNING BREXIT AND THE LEGACY OF GEORGE SOROS; WE HAVE ENTERED INTO A SEASON OF SUDDEN AND SEVERE SHIFTS, A DIVINE RE-ALIGNMENT IS TAKING PLACE OVER THE NATIONS. ‘When I saw the headline below, “LORD ASHDOWN DIES AT 77”, immediately the Holy Spirit began to speak to me concerning BREXIT, THE LEGACY OF GEORGE SOROS AND WHAT IS NOW TAKING PLACE PROPHETICALLY ACROSS THE NATIONS, “77”- DOUBLE SEVENS, I BELIEVE THIS IS A POWERFUL PROPHETIC SIGN CONCERNING ‘BREXIT AT THIS TIME’; As many of you may already know that the number (7) signifies ‘divine completion and perfection’; a divine mandate being fulfilled…! ‘BREXIT : I PROPHESY THE DIVINE MANDATE OVER THE UNITED KINGDOM OF GREAT BRITAIN AND NORTHERN IRELAND TO LEAVE THE EUROPEAN UNION WILL BE COMPLETELY AND PERFECTLY FULFILLED”..! “WATCH! AS MY SPIRIT OF RIGHTEOUSNESS AND JUSTICE NOW SWEEPS ACROSS THE NATIONS OF THE EARTH, WATCH! AS MY GOVERNING HAND MOVES TO UPROOT, TEAR DOWN AND DESTROY, WATCH! AS THE SWORD OF MY SPIRIT NOW FALLS UPON THE HEADS OF THE WICKED AND THOSE WHO HAVE SAT IN HIGH PLACES WILL BE SUDDENLY BROUGHT DOWN AND DESTROYED. WATCH AND PRAY! FOR MY SPIRIT IS MOVING IN YET STRANGER AND MORE MYSTERIOUS WAYS IN THESE DAYS, GET READY! FOR I AM RELEASING A SUPERNATURAL ACCELERATION OVER THE NATIONS OF THE EARTH, I AM BRINGING TO COMPLETION AND PERFECTION THAT WHICH I HAVE STARTED OVER THE NATIONS, NOW IS THE HOUR FOR MY PEOPLE TO ADVANCE, NOW IS THE TIME FOR A SUDDEN AND SEVERE SHIFT AND A DIVINE REALIGNMENT, LISTEN AND PAY ATTENTION! I SAY TO YOU OH MIGHTY WARRIORS, ITS TIME TO FALL INTO LINE FOR I AM TAKING YOU FAST FORWARD INTO THE PLACE CALLED ‘NEW’,” says the Spirit of God. Prayer Point to Consider, Take Note; Veronika, interesting historical fact, 777 years ago, the Mongols invaded Europe, the invasion into Western Europe was finally halted when Khan Ögedei died on DECEMBER 11 1241, this feels like it could be significant, and prior to the death of this man, his armies had laid waste to everything between China and Europe, they conquered and occupied all of Russia and Eastern Europe, in addition to the Middle East. Now 777 years later, Europe is being invaded again, by immigration. Let’s believe! Thanks, Abe Troyer. The Soros Web – LeaVe.EU incl notes by Nigel Farage MEP. AN URGENT WORD OF WARNING TO THE WEARY WARRIORS OF USA AND THE UK; I SEE BROKEN ARROWS IN THE HAND OF A MIGHTY WARRIOR, THE ENEMIES OF GOD ARE BEING SCATTERED..! “IT’S TIME TO ARISE, IT’S TIME TO ADVANCE, IT’S TIME TO STRIKE YOUR ARROWS HARD UPON THE GROUND AND WATCH AS YOUR ENEMIES ARE UTTERLY DESTROYED”! As I heard those words, I felt a tangible SPIRITUAL SHIFT BEGIN TO TAKE PLACE OVER BOTH NATIONS, then I saw the Weary Warriors on the Battlefield begin to ARISE TO THEIR FEET IN GREATER STRENGTH AND POWER AND THEY TOOK THEIR ARROWS AND BEGAN TO BEAT THEM HARD AGAINST THE GROUND, NOT ONCE, NOT TWICE, NOT THREE TIMES, NOT FOUR TIMES BUT FIVE AND SIX TIMES THEY BEAT THEIR ARROWS HARD UPON THE GROUND UNTIL ALL THE ARROWS WERE BROKEN!!!! ITS A TIME OF INTENSE WAR; THE WARRIORS OF GOD MUST ARISE ADVANCE AND TAKE GROUND. LISTEN; IT’S TIME TO SHAKE OFF THE SPIRIT OF WEARINESS AND PASSIVITY THAT COMES TO CAUSE YOU TO SHRINK BACK AND RETREAT, IT’S TIME TO STRIKE OUR ARROWS HARD UPON THE GROUND AND WATCH AS OUR ENEMIES ARE UTTERLY DESTROYED….! GPS #32: words and visions on the significance of Notre Dame's conflagration - and Jerusalem's!! This blog is protected under the terms of copyright law. With regard to ’fair dealing’ for the purpose of review or quotation, full attribution for my posts is appreciated, as is given for others’ blogs/links etc. GPS #32: words and visions on the significance of Notre Dame’s conflagration – and Jerusalem’s!! Fire in the cathedral – a sign? Update on illegality of extending Article 50 for leaving E.U. Comments exhibiting Kingdom values are welcome, preferably in your proper name rather than an alias. Remarks condemning, judging another (Matt 7:1-5) may bring redaction or binning, as will anything of an anti-Christ spirit (1 John 4:3). See About Comments.